2017 Conundrums and They Might Be Giants, on the Political Gabfest. 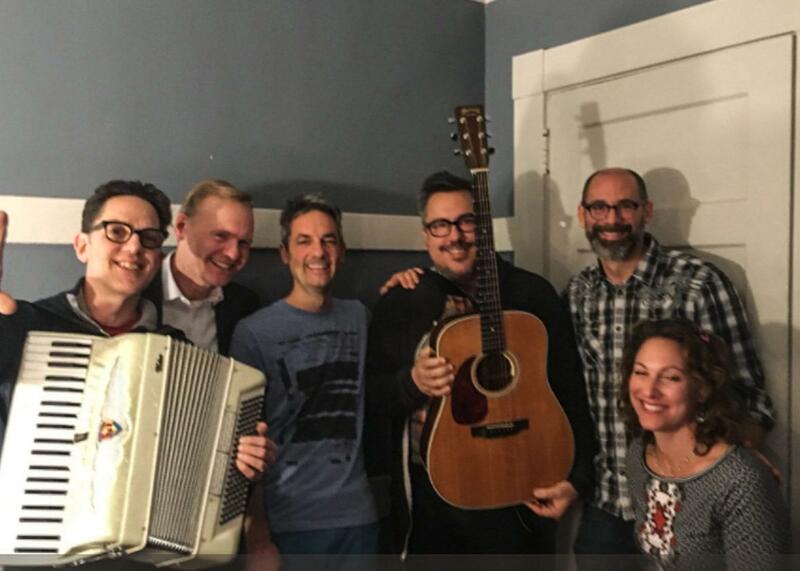 Political Gabfesters with They Might Be Giants. On this week’s Slate Political Gabfest, Emily Bazelon, John Dickerson, and David Plotz dig in, dissect, and debate listener-generated conundrums, with special guest performances by They Might Be Giants, live from Boston. Would you rather put clean clothes on your dirty body or dirty clothes on your clean body? Your cellphone somehow connects to cell towers in 2025. You don’t know how long you have to stay connected. What do you do? Would you rather work for a great boss who’s a terrible person OR work for a person who’s terrible at his job but a great person? Would you rather stop aging at 30 and live for 30 more years OR stop aging at 70 and live for 70 more years? What would you do if you found out William Shakespeare behaved like Harvey Weinstein? Is it insulting to get someone the gift of a cleaning service? Join Slate Plus! This week’s Slate Plus segment is a conundrum lightning round with They Might Be Giants. Slate Plus members get bonus segments, exclusive member-only podcasts, and more. Sign up for a free trial today at slate.com/gabfestplus.